More than 1,000 people with outpatients appointments at Mater Dei Hospital stayed away on Tuesday morning as doctors went on strike. 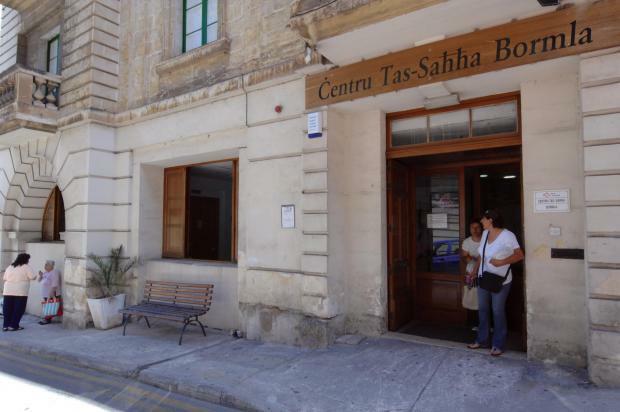 The doctors' union strike, which has been backed by UĦM Voice of the Workers, means work at the hospital's outpatients' department has slowed to a trickle, with no doctors available at several health centres. Doctors are protesting over the way St Luke's, Karin Grech and Gozo hospitals are being transferred to Steward Global Healthcare. Backing the Medical Association of Malta, UĦM has ordered nursing aides at Mater Dei Hospital not to inform patients about new appointments. Phlebotomists were told not to draw blood. The directives were issued not only in support of the MAM but also to protest against the privatisation of three State hospitals, UĦM chief executive Josef Vella said. Tuesday's industrial action was ordered after a last-ditch meeting held mon Monday between the Medical Association of Malta and Health Minister Chris Fearne failed to see a breakthrough. Mr Fearne told Times of Malta he estimated around 3,000 patients will be impacted as a result of the directives. VGH took the 30-year concession for the hospitals in 2015 but sold it to Steward just 21 months into its operation. MAM is calling on the government to retract its consent for the transfer and consult with it first, in line with a collective agreement. Martin Balzan, MAM general secretary, said when contacted that the union had stood by its position that while it agreed in principle with a public-private partnership for state hospitals, management and leadership should remain in the hands of the government. It appeared, he said, that the government agreed with the union on this principle. Still, no progress was made at the meeting. Mater Dei Hospital CEO Ivan Falzon told Times of Malta that around 1,700 patients had appointments at the hospital booked on Tuesday. Of those, around 400 had showed up. Around 200 of those 400 needed services which have not been affected by strike action (see below) and were treated. The remaining 200 had their appointments rescheduled. Patients who spoke to Times of Malta appeared calm, with some complaining that they had made the trip to hospital for nothing after being unable to get through to the hospital's customer care lines, which have been ringing off the hook. At Gżira and Mosta health centres, a few senior patients unaware that a doctors' strike had been called were spotted waiting to have their appointments rescheduled. "Is this about a pay raise?" one elderly woman asked Times of Malta in confusion. A doctor handling emergency cases at one of the health centres told Times of Malta that the vast majority of patients with appointments had stayed away, with many voicing their support for doctors' action. The MAM announced earlier that doctors will strike in hospital outpatients' departments. The directive also affects health centres and bereg, and only three health centres in Malta - Paola, Floriana and Mosta - and one in Gozo - Victoria - will have doctors available on Tuesday to give emergency services. 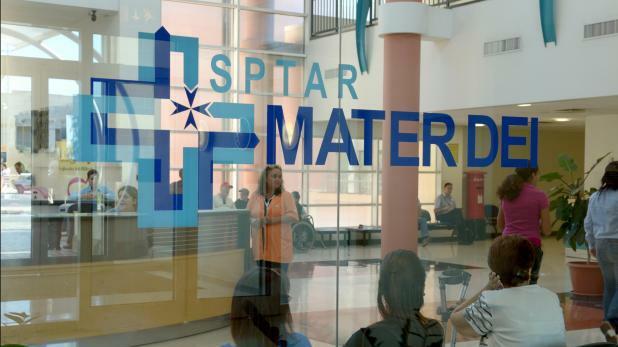 The union told its members to go out on strike at the Mater Dei outpatients department as well as all other peripheral outpatient clinics in both Malta and Gozo from 8am to 4pm. The directive also applies for Karin Grech and Gozo General hospital. Ward doctors at Mater Dei Hospital will be on a work-to-rule directive. Doctors in administrative duties will not answer phone calls or e-mails. At health centres, all scheduled non-urgent appointments shall be rescheduled, and routine repeat prescriptions shall be postponed to other dates. Doctors shall not report to “district health centres”, and the other smaller health centres, Gżira, Rabat, Birkirkara, Qormi and Cospicua. All walk in cases needing emergency care will still be seen to. Services for house calls will be limited to one doctor per health centre using the usual protocol to determine which cases need to be seen. from the discharge lounge. Foundation doctors will only fill in this paper work, if patients are in a normal ward. After 2.30pm only prescriptions for a three-day supply of medicine will be filled. From 2.30pm to 8am foundation doctors are only to deal with all urgent matters of a clinical nature and limit their paper work. The directives do not apply to clinics at Sir Anthony Mamo and maternity clinics. There shall be no directives affecting the accident and emergency department, or any of the acute wards. so please carefully consider the importance of this moment. As more privatisation looms on the horizon, it is essential that everyone is prepared, and follows the directives to the letter," the MAM members were told. The union explained that it had declared the industrial dispute because its call to Vitals for immediate corrective measures in the method of recruitment of doctors had been ignored, and the recruitment disregarded procedures established in the collective agreement. health care to the public on behalf of the government. Specific meetings should have been held to reach a detailed agreement in line with the principles established in the collective agreement. When contacted, Mr Fearne said he had offered to show MAM all the contracts linked to the hospitals deal. He acknowledged that despite progress on a few other issues - including the wages of certain doctors at health centres - the government and MAM failed to agree on the way forward for the concession agreement involving Vitals. "Back in May we had agreed with MAM that any future PPP arrangements will ensure the government retained full control but the VGH agreement cannot be re-opened. The VGH agreement is what it is and it makes no sense to re-open that debate. We simply can't go back to 2013." Mr Fearne said. Admitting that VGH were behind schedule in certain aspects, which prompted the new deal with Steward, Mr Fearne said he remained open to discussions. "We need to safeguard the interests of the patient. It's in everyone's interest to resolve this," the minister said.